FTSE 100 education and publishing firm Pearson has announced that Dame Marjorie Scardino is to step down as chief executive, to be replaced by former corporate affairs professional John Fallon. Fallon was most recently head of Pearson’s international education division, but joined the firm in 1997 as director of comms and corporate before expanding his role in 2001. He is also a former head of the group in Europe, Middle East and Africa. 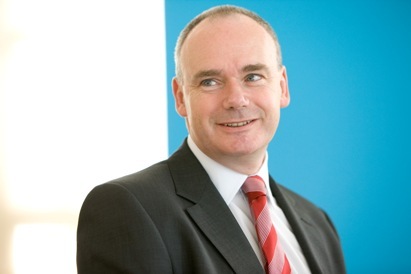 Before joining Pearson, Fallon was director of corporate affairs at Powergen and has also held public policy and comms roles in local government and politics, including a stint as policy and media adviser to former deputy PM John Prescott. Fallon becomes one of the first corporate affairs professionals to have risen to take executive control of large listed businesses. Research from recruitment consultancy Robert Half found this year that more than half of FTSE 100 bosses had a financial background, with others emerging from engineering/mining (14), retail/hospitality management (10), marketing (six) and IT (four). Scardino is stepping down after 16 years at the helm of the owner of the Financial Times and publisher Penguin. She is currently one of four female CEOs of FTSE 100 companies. Scardino said: ‘Though we’ve changed the company beyond recognition from its form in 1997, we are still in the foothills of the climb to make all kinds of learning more accessible and more effective for more people. Fallon commented: ‘Marjorie’s legacy is a company with a strong performance record, a deep commitment to its wider social purpose and a unique culture.